This is a passive laser. 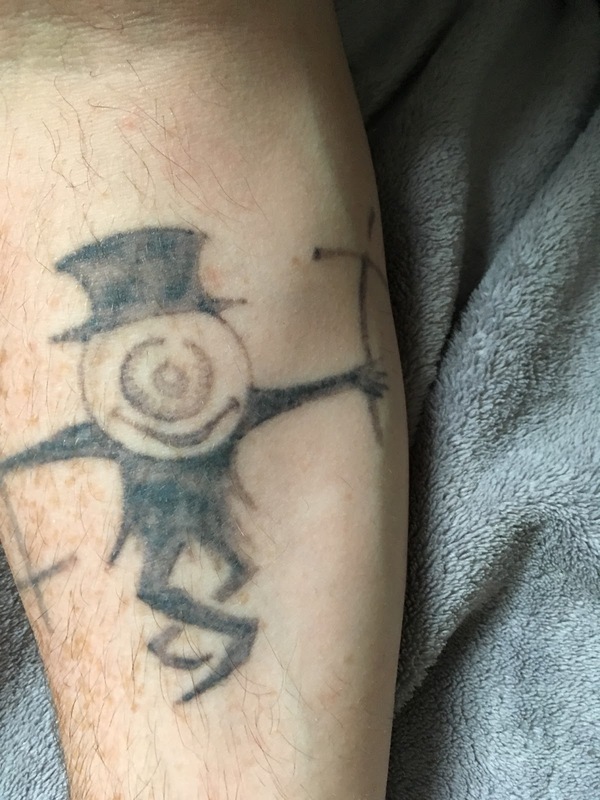 It will never remove the tattoo. My heart kind of sank at this moment. To emphasize, I do not blame the studio or the technician for this. This was my mistake, this is why tattoo studios and beauty salons can offer such cheap tattoo removal, these machines are cheap. 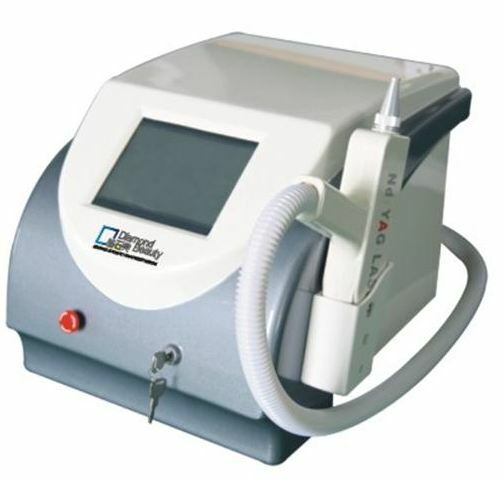 An active laser is a much bigger, more expensive machine as are the treatment costs. The studio nor the technician never claimed they could fully remove my tattoo. They also didn't tell me they couldn't. It makes sense though, tattoo studios are just that, they are not removal studios. Their business is tattooing, if they fade tattoos, they can do better cover ups. I have no ill will toward the studio or the technician, I just wish I'd known more, done more research, had better questions. I somewhat dived in but knew I wouldn't have started otherwise. I've now spent €240 on removal, three times the price of the tattoo and I have no idea if that was money well spent or not. Maybe the clinic that said I had to pay €960 up front would have had better results in four sessions, I'll never know. This is a part of why I started this blog, so others don't make the mistakes I made. There's only one thing for it, call the place in Dublin that has Picosure. I call them a few days later. Scheduling is a bit of hassle because of my holiday. We tentatively agree on 23rd of July. I tell them that's just one week after my holiday and I could be tanned. They say I have to reschedule if I am tanned, there's a much bigger risk of pigment damage on tanned or darker skin. This is fine though, I like the sun but I don't try to tan, I can't I just burn. 23rd of July will be fine. I have to pay €30 consultation fee, had I not had previous treatment, this would be deducted from the session cost. To me, it's an extra payment. I have now spent €270 on tattoo removal. The above was taken 26th of June. No idea why, probably because it was seven weeks since my last session and just before my holiday, also a month before my first Picosure session. It is beginning to look more faded. No where near where I wanted to be now, but fading. I come back from Italy, I honestly don't think I have ever been so tanned. I've been to many sunny countries but never tanned like this. I didn't even try to tan, I wore factor 50 at all times and did my best to stay out of the sun. I drop into the clinic on 18th July to show them. We reschedule to 13th of August. Over the next few weeks I'm really worried about the tan. I'm keen for this Picosure session but need my tan to fade. On the 10th of August I get a call from the clinic saying there's a problem with the laser and they're moving me to 18th of August. UPDATE Nov 6 - I have since found out that the machine above is not a passive laser (I think). I genuinely thought it was. However this was the catalyst that motivated me to change to picosure instead, a decision I so far think was the correct one.